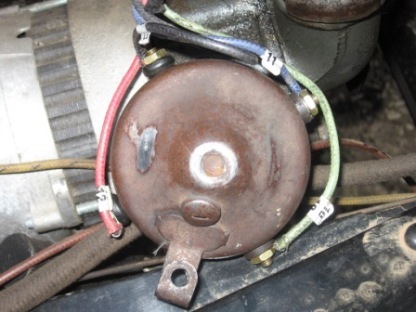 This is my story of how I ended up using the True-fire ignition system. I would consider myself a realistic purist in the world of Model T's. I like cars to be as original as possible, without being fastidious to the extreme. There is obviously a place for people of all tastes in the Model T world, from barn find drivers right through to heavily modified hot rods. Me, well I like original, BUT, reliable and safe within the boundaries of the way I use my car. I endured with the original system for 18 months, experiencing a persistent misfire until I had had enough. This had all come to a head on a rally weekend that had a fair amount of hill climbing. Well I started with the obvious, timer maintenance. At the time my car was fitted with a brush type "plastic" body type timer, so finding the carbon brush that was fitted to the car when purchased in a poor state, I replaced it. This was just prior to a club rally weekend, and the car seemed to be running better, so off I went. When my misfire started half way up a mountain climb, mutliple heads ended up peering under the hood grunting. This is when the True-fire ignition was first introduced to me by a fellow club member. Further investigation revealed a suspect coil, so after completing the weekend away on a borrowed unit, I found the misfire returned only few weeks later, all four coils went off for reconditioning! Once again, I found the car improved and tests showed the magneto was working perfectly. So more investigation resulted in a coil box renovation kit. It's fair to say that after a year and a half, I was fed up with what appeared to be an elusive fault that constantly escaped me. Not having a car trailer meant that every rally I attended, required me to drive to the meeting point, the rally route and home again. The last was a 5 hour trip there and back! Enough was enough and an order was placed!I had many talks with another member of our club who swore by the True-fire before I placed my order and he promised I wouldn't be disappointed. Well he wasn't lying. The first thing I noticed was that the car started from cold very easily. (I run on 6v) So temptation as it was, a little adjustment of the timer rod and I was off. The first thing I noticed was how much smoother the True-fire had the engine running and how much more responsive it felt. I did actually discover the cause of my problems several months later. I accidentally shorted my old timer cap on a battery. So what? Well I shorted it from opposing terminal to opposing terminal. These should be insulated from each other, and I noticed some sparking. What I found was the new wearing brush (not the old carbon one) had embedded residue in the face of the timer between contacts was effectively causing tracking, a fault common in original timers not maintained well. So with a new set of coils and a new Tru Fire, I have decided to fit one unit in my Shooting Brake and one in my TT that is slowly morphing into a camp car with coil box on the dash, it'll be nice to hear the coils buzzing away! So what is it? A box of magic and smoke and mirrors? 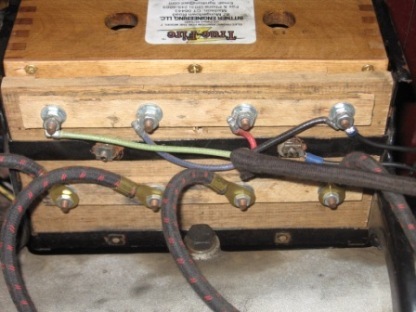 The Tru fire ignition system, developed by Bittner Engineering in the U.S provides a complete replacement for the coil/timer magneto system, standard on the Model T Ford. Simple to install, the coil unit box replaces the 4 original individual coils with two modern units and no need to alter the original coil box. 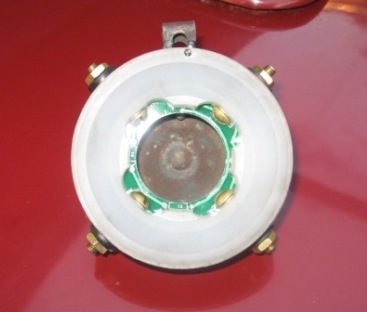 The original timer roller and contacts need to be removed to enable the installation of the Tru fire rotor and sensor module, with some minor alterations to the wiring order and possibly also timing position, you're off an running. These are pictures of the components used in my car. Please refer to the instructions provided when you purchased your True-fire as the above is fitted in a RHD car. Do you own a Right Hand Drive Car? Are you a little confused installing yours? If you own a RHD car (right hand drive) you can get a copy of instructions specifically written for those of us with the steering on the right side of the car! Fill out your details here to get a printable pdf copy.